High Clarity Polypropylene Bags offer a new, distinctive combination of properties to our line of comprehensive food service products. Biaxially-Oriented Polypropylene, also known as BOPP, film has been stretched in the longitudinal direction then also in the lateral, or traverse direction. Bags and sheets made of this material have a superior strength coupled with a brilliant clarity that showcases the contents beautifully. High Clarity Polypropylene Sealable Bags offer a new, distinctive combination of properties to our line of comprehensive foodservice products. Bags made of this material have a superior strength coupled with brilliant clarity that showcases the contents beautifully. Polypropylene is a material that has FDA approval for food packaging and its clarity is the perfect choice for packaging those items that are ready to eat. 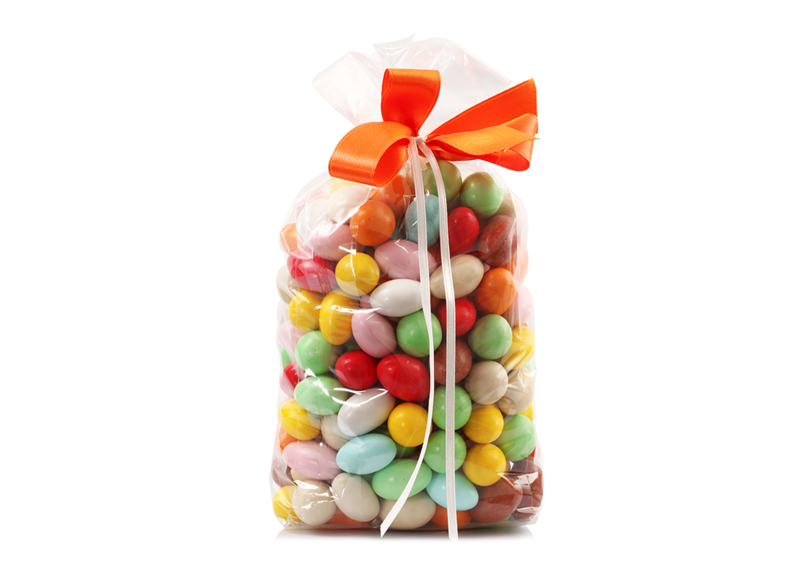 These bags come in various sizes to choose from, with or without a self-adhesive strip. High Clarity Polypropylene Sheets offer a new, distinctive combination of properties to our line of comprehensive foodservice products. Sheets made of this material have a superior strength coupled with brilliant clarity that showcases the contents beautifully. 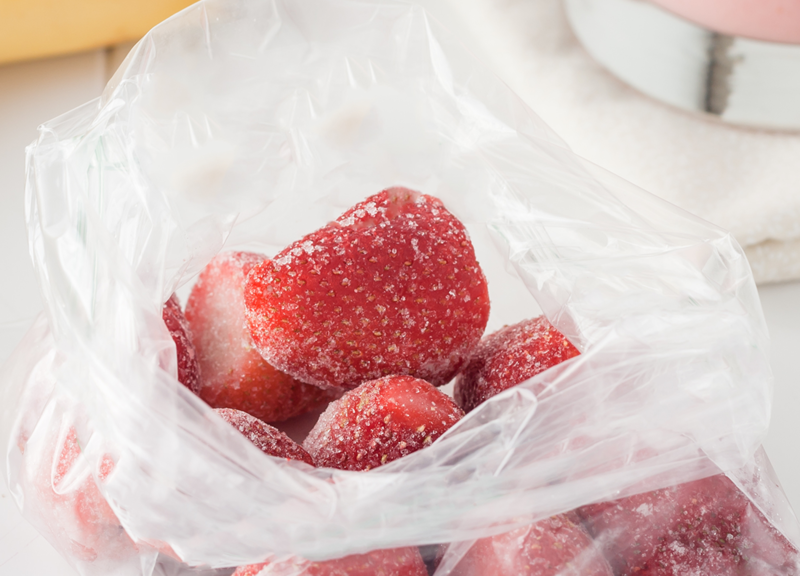 Polypropylene is a material that has FDA approval for food packaging and its clarity is the perfect choice for packaging those items that are ready to eat. 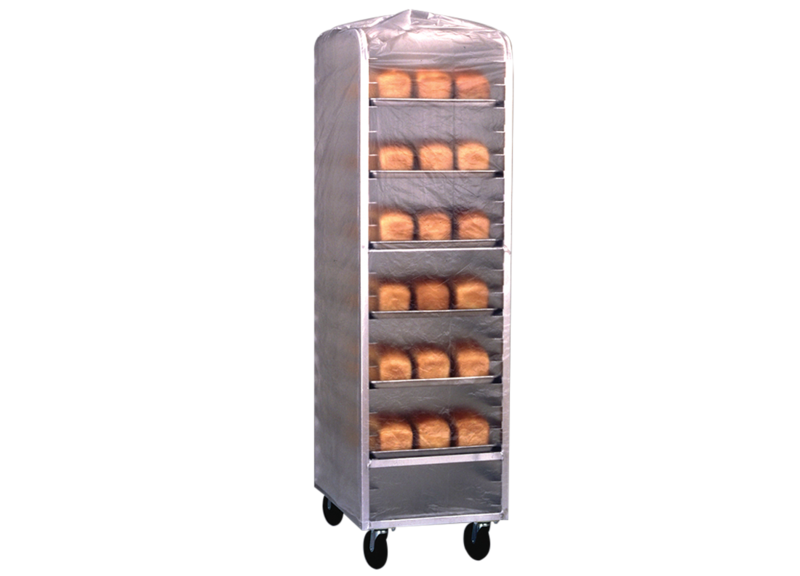 High Density Bun Pan Rack Covers are made from an extremely durable and flexible material, HDPE, which is high density polyethylene. These bags can withstand temperatures down to -50°F and up to 220°F. This durable material is strong, tough, tear resistant and easy to identify contents of bun rack. They provide protection for foods stored in full size "52 x 80" and "60 x 80", keeps food moist and fresh and it keeps dust out. 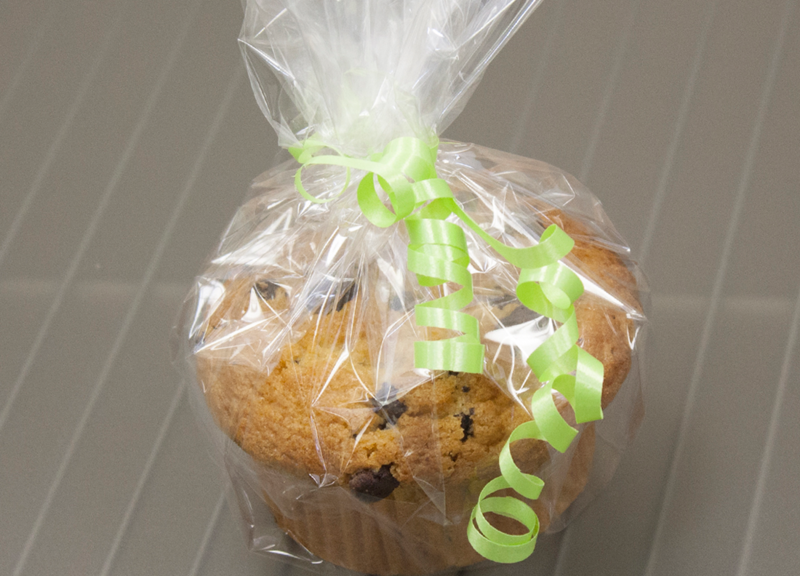 High Density Daily Pre-Portion Bags eliminate food waste and protect against using foods after they've expired. Color-coded, trilingual graphics clearly show "use by" dating and allows clear identification of the food inside. 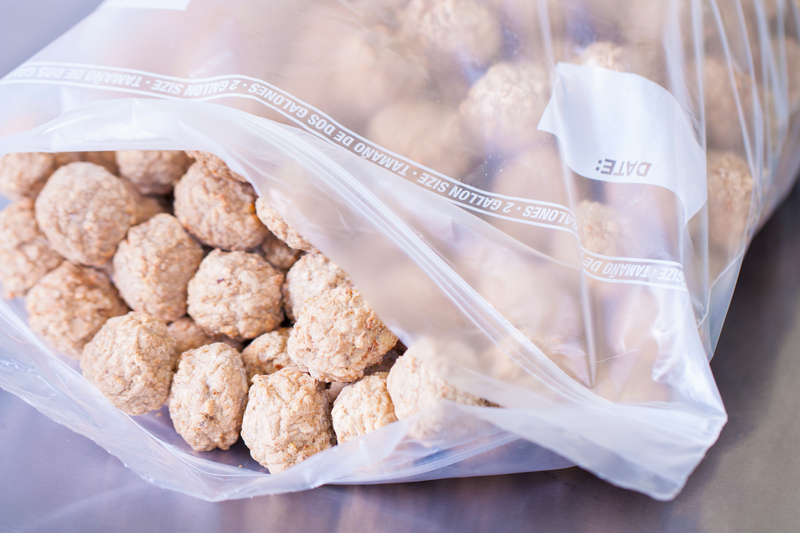 Safe to microwave, boil, or freeze, our TuffGards portion bags provide an excellent moisture and vapor barrier. Foods stay fresher longer. 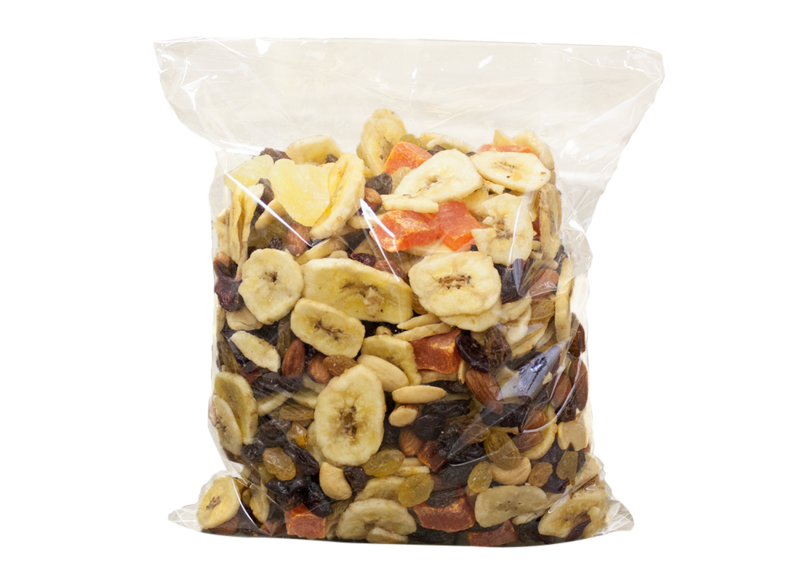 High Density Deli Bags are made of our high density polyethylene (HDPE) which is a very durable and flexible material. 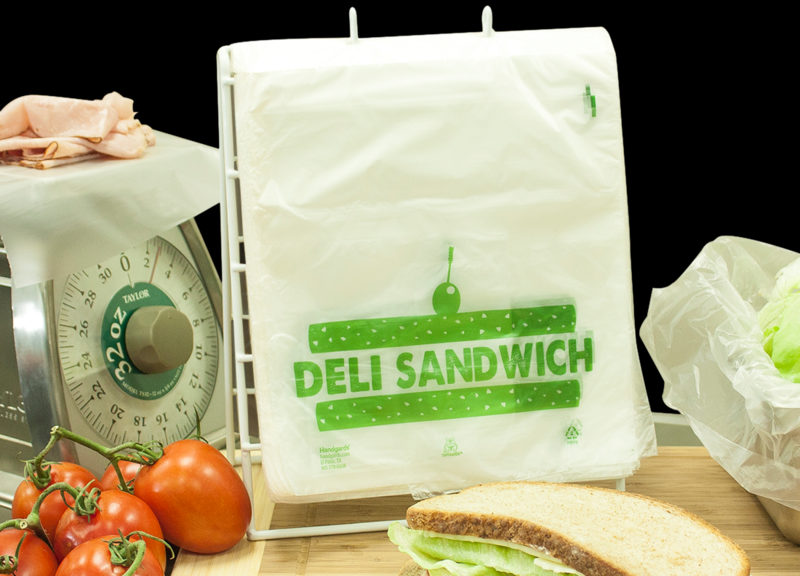 These Deli Bags can withstand temperatures down to -50°F and up to 220°F. They are available in saddle pack, with or without print. High Density Food Sheets are made of our high density polyethylene (HDPE) which is a very durable and flexible material. 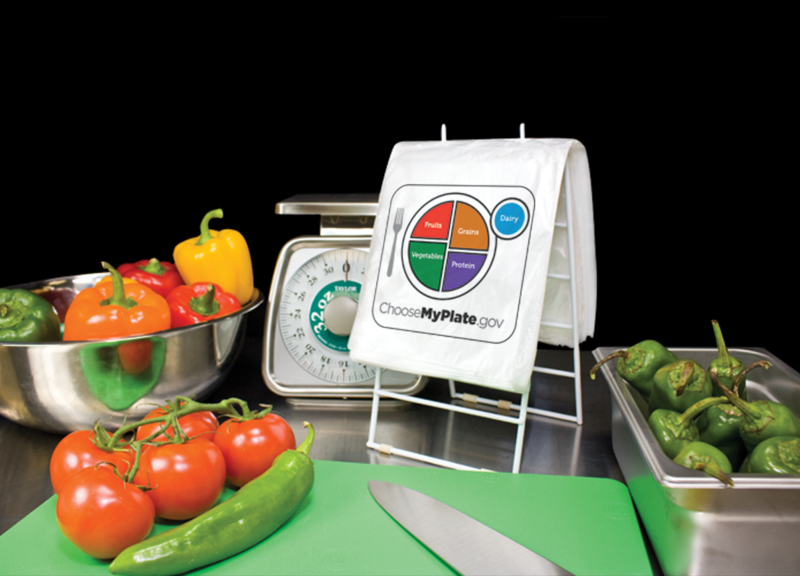 These Food Sheets can withstand temperatures down to -50°F and up to 220°F. They are available in a roll pack size 18" x 22". 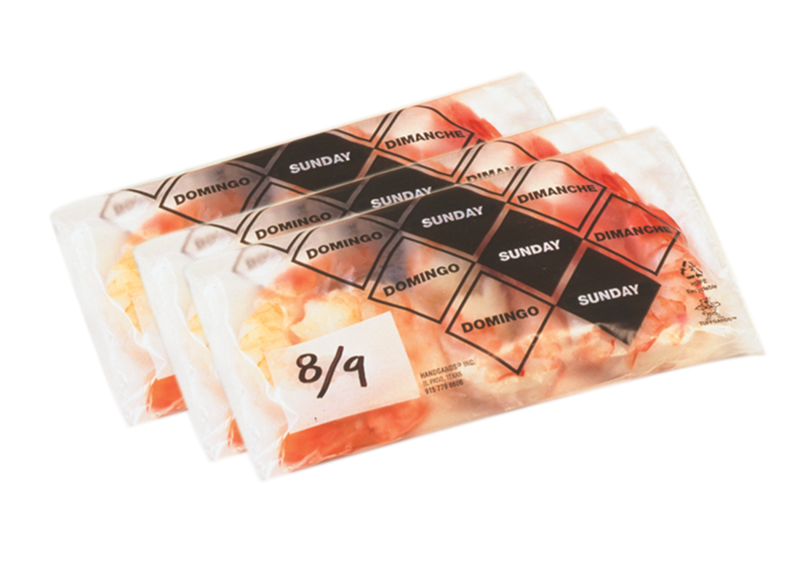 High Density Freezer Storage Bags are made from High Molecular, High Density (HMHD) polyethylene. This extremely durable and flexible material allows our food storage bags to be frozen to -50°F and then heated up to 220°F. This allows food to be taken directly from the freezer to microwave or boiling water, steamers, or warmers without freezer burn and without the need to repackage or transfer foods. Additional benefits include grease and leak resistant, moisture vapor barrier prevents foods from drying out, prolongs shelf life in freezers, coolers and warmers. High Density Hot Dog Bags are made of our high density polyethylene (HDPE) which is a very durable and flexible material. 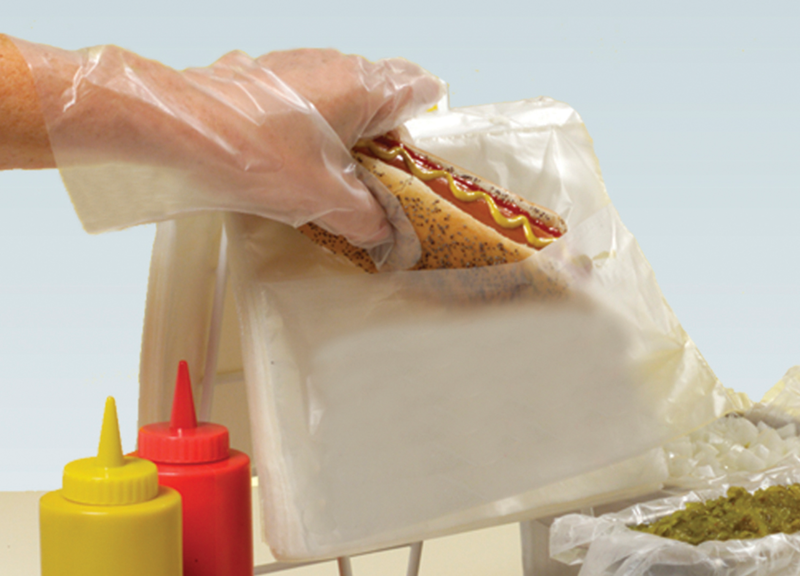 These Hot Dog Bags can withstand temperatures down to -50°F and up to 220°F. They are available in three different sizes. ZipGards® High Density Reclosable Zipper Bags seal in savings and convenience. 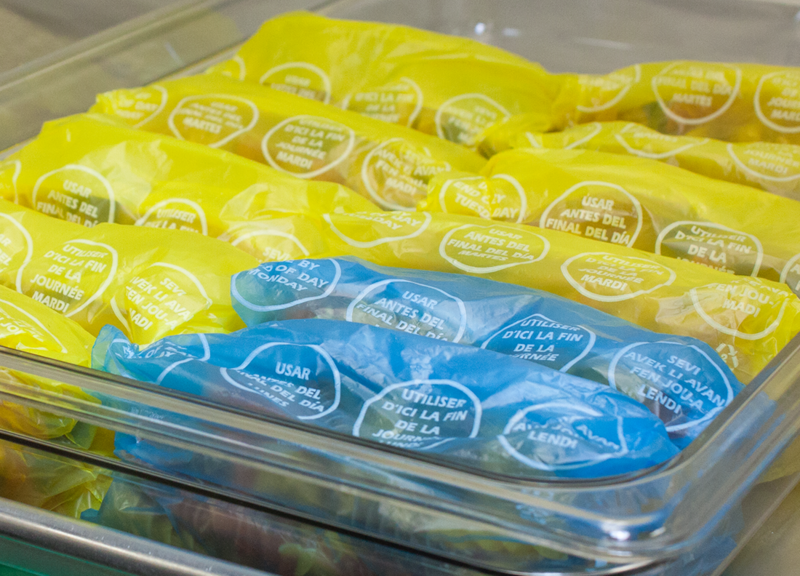 The reclosable zipper bags provide excellent protection for foods stored for prolonged periods in coolers or freezers. 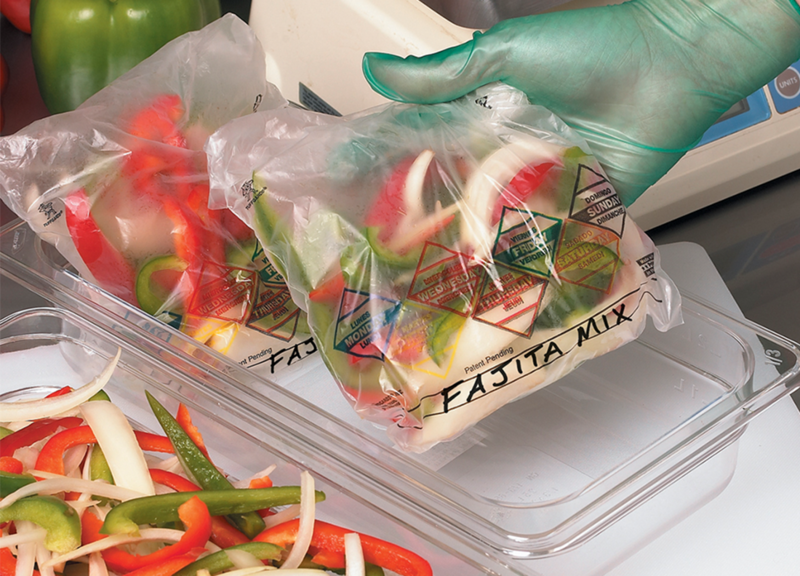 Secure closure extends product freshness and reduces food waste. 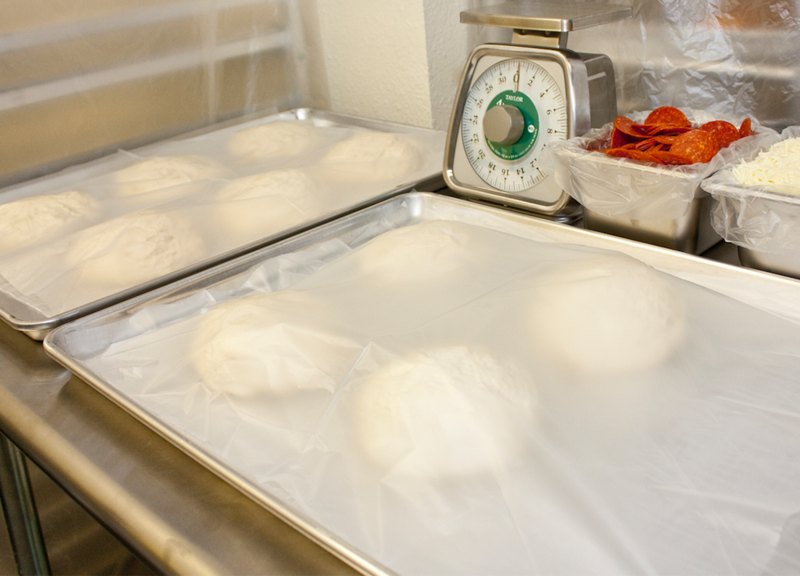 Our high density bags can freeze down to -50°F and heat up to 220°F. High Density Sandwich Bags are made of our high density polyethylene (HDPE) which is a very durable and flexible material. These sandwich bags can withstand temperatures down to -50°F and up to 220°F. They are available in various sizes and prints. High Density Silverware Bags are made of our high density polyethylene (HDPE) which is a very durable and flexible material. 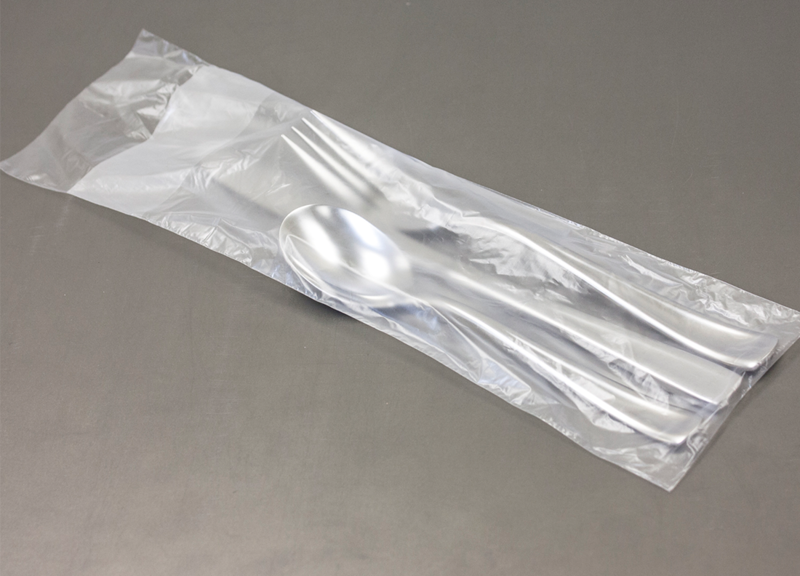 These Silverware Bags can withstand temperatures down to -50°F and up to 220°F. They are available in saddle pack and flat stack. High Density Specialty Bags are made of our high density polyethylene (HDPE) which is a very durable and flexible material. These Specialty Bags can withstand temperatures down to -50°F and up to 220°F. 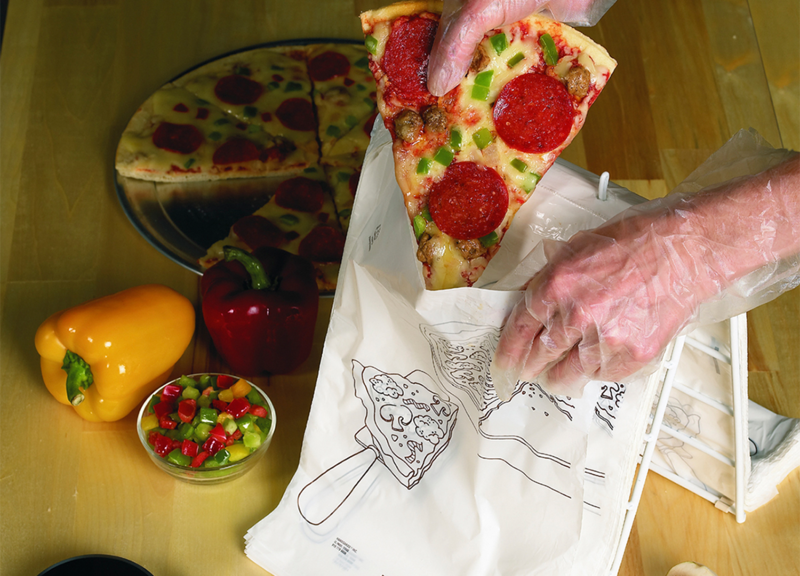 The Specialty Bags include the Sandwich Bag, Doggie Bag, Pizza Bag, and the Corn Bag. High Density Tinted Daily Pre-Portion Bags are made of our high density polyethylene (HDPE) which is a very durable and flexible material. Operators pre-portion their food and use the food rotation system to: Save Money: ensure the exact portion and subsequently the same food cost every time. Save Time: operators will sell plates faster during busy times and turn tables quicker. Build Consistent Portions: customers want the same portion every time. 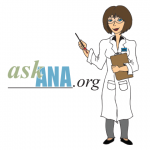 Practice Food Safety: improperly stored food is one of the leading causes of a food-borne illness. 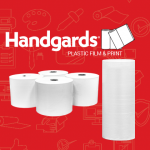 High Density Weekly Pre-Portion Bags are made of our high density polyethylene (HDPE) which is a very durable and flexible material. Operators pre-portion their food and use the food rotation system to: Save Money: ensure the exact portion and subsequently the same food cost every time. Save Time: operators will sell plates faster during busy times and turn tables quicker. Build Consistent Portions: customers want the same portion every time. Practice Food Safety: improperly stored food is one of the leading causes of a food-borne illness.